The first manned mission to the International Space Station since a Russian rocket failed to launch earlier this month may take off on Dec. 3, space agency Roscosmos said on Wednesday. And a Canadian astronaut is expected to be aboard. The first manned mission to the International Space Station since a Russian rocket failed to launch successfully earlier this month may take off on Dec. 3, space agency Roscosmos said on Wednesday. 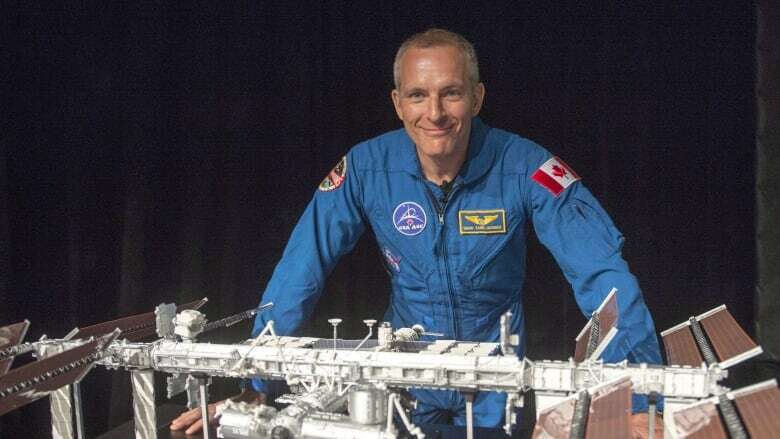 And the crew is expected to include Canadian astronaut David Saint-Jacques. A Russian cosmonaut and U.S. astronaut were forced to abort their mission on Oct. 11 and perform an emergency landing after a launch accident that Roscosmos said was caused by a faulty sensor. Sergei Krikalyov, a senior Roscosmos official, was quoted Wednesday by state news agency Tass as saying the next manned launch had been planned for mid-December, but that Russia was trying to bring the date forward so that the ISS is not briefly left without a crew. "The industry is making significant efforts to move the launch to Dec. 3 so that the station does not switch to autopilot mode," he said. The current three-person crew aboard the space station may return home on Dec. 20, Krikalyov was quoted as saying. That crew includes Alexander Gerst of the European Space Agency, Serena Aunon-Chancellor of NASA and Sergey Prokopyev of Roscosmos. Aboard the next manned spacecraft will be Canadian David Saint-Jacques, Russian cosmonaut Oleg Kononenko and NASA astronaut Anne McClain, Agence France-Presse reported. The Canadian Space Agency confirmed Thursday that Saint-Jacques will launch on Dec. 3. Saint-Jacques, Kononenko and McClain had originally been scheduled to blast off on Dec. 20. Krikalyov also provided more details Wednesday about the cause of the mishap during the Oct. 11 launch. He said a malfunction of a sensor that signals the jettisoning one of the rocket's four side boosters caused the booster to collide with the second stage of the rocket. He stopped short of saying why the sensor had malfunctioned but said the space agency is working to ensure such incidents do not happen again.